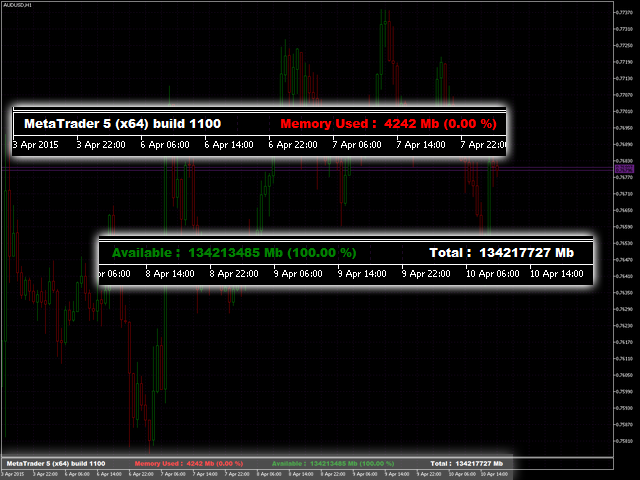 This is a simple utility which displays an amount of RAM required by the terminal. 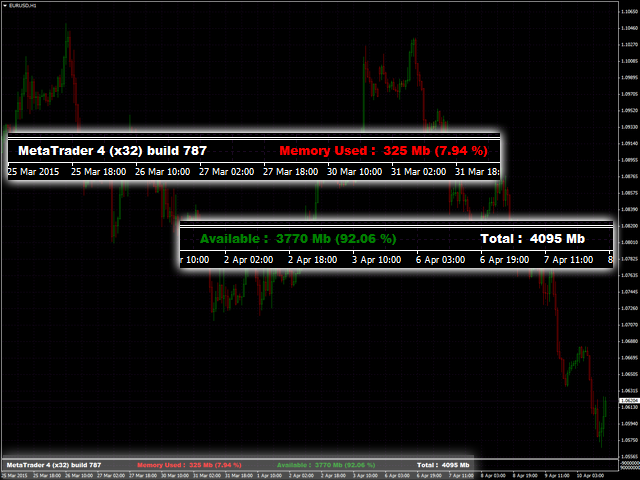 It also displays the version of the terminal, memory volume, which potentially can be occupied by the terminal, and total amount of available memory. Volume of potentially available memory for x64 version of the terminal amounts to 128 TB. Nevertheless a real memory volume, which can be used, depends on the amount of real and virtual memory available for the system (it is impossible to calculate this value). Полезная утилита! Можно попросить дополнительно показания процессора?